The single bench of Delhi High Court in Litjoy International v. Union of India has stayed the operation of orders issued by Custom Authority and Drug Controller for compliance with Ministry of Health and Family Welfare advisory dated August 28, 2018 to ensure that e-cigarettes, heat-not-burn devices, vape, and similar devices that enable nicotine delivery are not sold (including online sale), manufactured, imported, traded, advertised etc. The court while hearing the petition noted that though the advisory and subsequent orders from Drug Controller and Customs say they come under the Drugs Act, it does not specifically fall under definition of drugs under the Act and furthermore there are no specific provisions of Drugs Act mentioned in the Advisory or subsequent orders, under which such a ban is imposed. A civil society-sponsored #OurVoteOurRights yatra has been launched in Delhi in the run-up to the 2019 general elections. It will travel across Delhi to focus attention on real issues affecting peoples’ lives. A communique issued by the organizers says, "Reforms needed to address current challenges being faced by the country like inequality, corruption and discrimination will be highlighted." Those organizing it include Satark Nagrik Sangathan, Delhi Rozi Roti Adhikaar Abhiyan, National Federation of Indian Women, National Alliance of People’s Movements, Right to Food Campaign, Basti Suraksha Manch, Kachra Kamgaar Union, Aman Biradari, Delhi Solidarity Group, Naari Ekta Shakti Sangathan, National Domestic Workers Union, Mahila Pragati Manch, and Wada Na Todo Abhiyan. The People's Training and Research Centre (PTRC), a Vadodara-based health rights organization, has regretted that the Gujarat government has not taken any action for prevention or policy for rehabilitation of the state’s silicosis victims, forcing the National Human Rights Commission (NHRC) to a issue notice seeking reply. While NHRC recommendation for paying Rs4 lakh to the families of the deceased workers was accepted by the state government, it had also suggested several steps to prevent the deadly disease. As it did not receive any reply on this score, it sent a notice to send a report of 6 weeks on the implementation of the recommendations. NHRC recommendations include closure of agate work done in residential areas as the Madhya Pradesh government did in Mandasaur; formation of a board for the welfare of workers; prior the government’s environmental nod to start an agate unit; and minimum wages to agate workers. 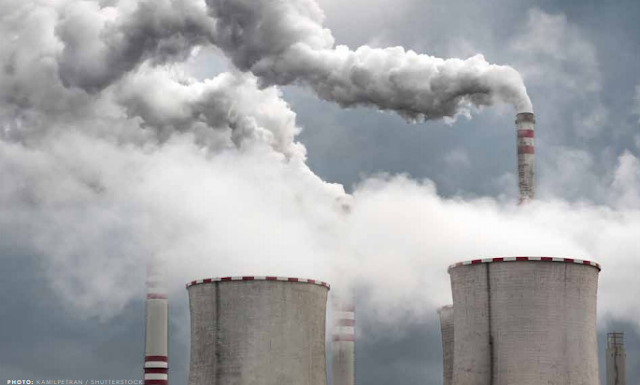 China’s National Energy Investment Group ranks No 2 with an annual coal production of 510.0 million metric tonnes, followed by China Guodian Corporation producing 171.6 million metric tonnes, Datong Coal Mine Group producing 167.0 million metric tonnes, and China National Coal Group producing 159.3 million metric tonnes. 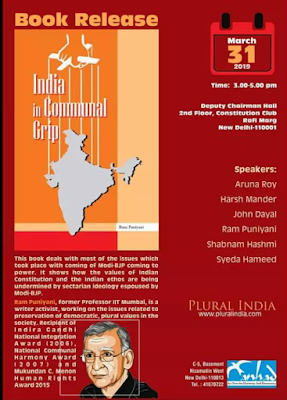 Organised by two civil eights organizations, Plural India and Anhad, a book authored by a well-known anti-communal campaigner Ram Puniyani, former Professor IIT Mumbai, is set to released ahead of the elections, "India in Communal Grip", on March 31 in Delhi. Dealing with most of the issues which took place with coming of Modi-BJP coming to power, the book claims to show how the values of Indian Constitution and Indian ethos are being undermined. 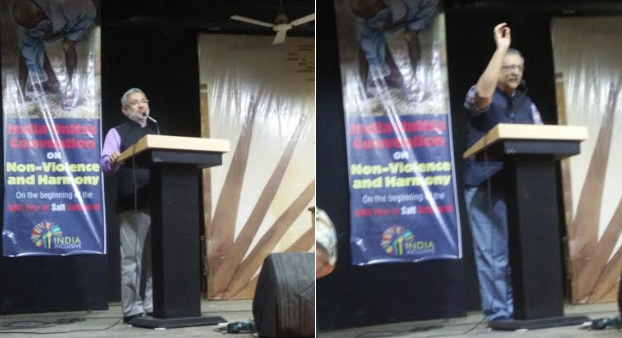 Blaming "sectarian ideology espoused by Modi-BJP", the book is said to focus on the threats of sectarian politics in the name of religion and by the "imperialist aggression" for the lust of oil. Among those who will spek at the book release function include human rights leaders and experts Aruna Roy, Harsh Mander, John Dayal, Shabnam Hashmi and Syeda Hameed. Top civil society networks, National Campaign for People's Right to Information (NCPRI), National Alliance of People's Movements (NAPM), Right to Food Campaign (RTF), Campaign for Judicial Accountability and Reforms (CJAR) and Satark Nagrik Sangathan(SNS) have announced their decision to discuss the document ‘Reclaiming the Republic’ and several other manifestos developed by campaign organizations with representatives of political parties. In a joint statement ahead of the meeting on March 25, they have said that these documents bring together "the most urgent actionable reforms needed to protect and strengthen the Constitutional safeguards for India’s democratic polity." The meeting will be held from 2:30 pm to 5 pm at the Indian Social Institute, Lodhi Road, Delhi, and major civil society participants include Prashant Bhushan, Anjali Bhardwaj, Nikhil Dey, Dipa Sinha, Kavita Srivastava and Meera Sanghmitra. In a shocking revelation, all of India’s neighbours – China, Pakistan, Bangladesh, Sri Lanka, Nepal and Myanmar – rank better than India in the World Happiness Index, worked out by independent scholars under the aegis of the United Nations Sustainable Development Solutions network in part the Ernesto Illy Foundation. 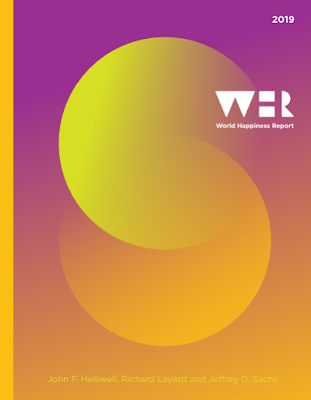 Ranking 156 countries by how happy their citizens perceive themselves to be, the report which provides the ranking says, India ranks 140th, as against Pakistan 67th, China 93rd, Nepal 100th, Bangladesh 125th, Sri Lanka 130th, and Myanmar 131rd. In a stark revelation, a Government of India's yet-to-be released report has said that, for the first time since 1993-94, the actual size of India’s male workforce, or men who are working, has shrunk. Data from the National Sample Survey report, "Periodic Labour Force Survey (PLFC) 2017-18", says that there were by 28.6 crore employed males in the country during the year. This, it is reported, is the first instance of a drop in the male workforce that steadily swelled from 21.9 crore in 1993-94 to 30.4 crore in 2011-12 when the last NSS survey was conducted. This suggests fewer men were employed in 2017-18 compared with five years ago. The decline in actual numbers occurred, again for the first time since 1993-94, in both rural and urban male workforce. The slide is steeper — 6.4% — in the rural areas compared to a 4.7% setback observed in the urban sector. 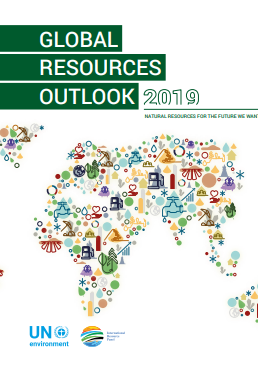 A recent report by the United Nations Environment Programme (UNEP) and the International Resource Panel (IRP), “Global Resources Outlook 2019: Natural Resources for the Future We Want”, has raised the alarm that 10 economies across the globe, including India, are responsible for over 68 per cent of global extraction of resources today. 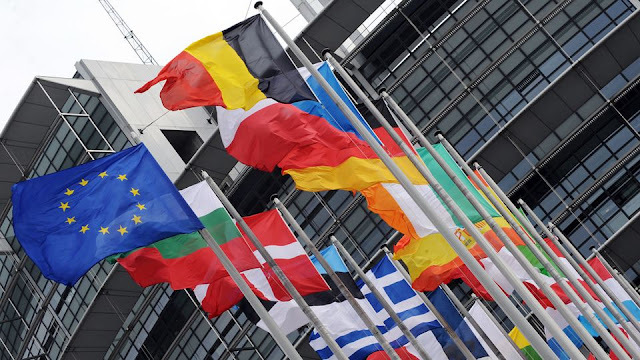 At the same time, the report says, while Europe “generates 20 per cent of the global resource-related value added, impacting just 5 to 10 per cent on the environment, India’s resource-related value-added in 2017 was just 4 per cent, but its environmental impact was as high as 7 per cent. 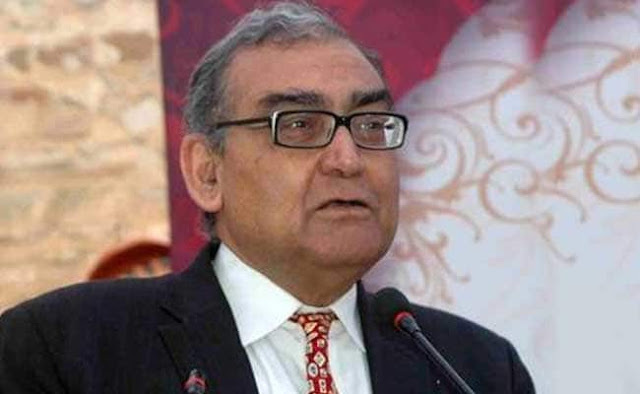 Close on the heels of former Supreme Court judge Markandey Katju strongly objecting to the cancellation of invitations to Pakistani scholars for the three-day World Urdu Conference to begin on Monday in Delhi, the Government of India organizers have come up with the explanation that this was as a consequence to "the way Pakistan has been indulging in cross-border terrorism." 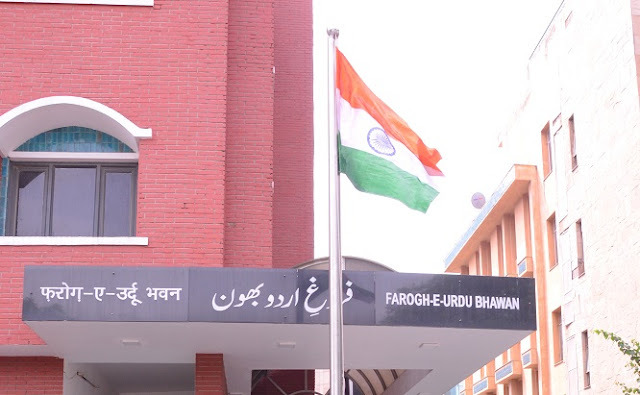 To be inaugurated by Prakash Javadekar, Minister for Human Resource Development, a chief organizer, National Council for Promotion of Urdu Language (NCPUL) vice-chairman Prof Shahid Akhtar, told media that there will be participants from Canada, Russia, France, Egypt, Iran, Turkey, Denmark, Japan, Bangladesh, Uzbekistan, and Mauritius, apart from 40 Urdu scholars from around the country. The Delhi to Haridwar foot march, which started from Jantar Mantar on March 9, 2019 concluded today at Matri Sadan, Haridwar, the site of long fasts for conservation of Ganga. Currently, 26 years old Brahmachari Atmabodhanand is on fast for 145 days in order to press upon the government listens to his demands. Earlier, Swami Nigmanand lost his life after 115 days fast in 2011 against illegal mining in Ganga, followed by Swami Gyan Swaroop Sanand, formerly Prof GD Agrawal, who lost his life on October 11, 2019 after 112 days of fast demanding halt of all proposed and ongoing hydroelectric power projects on Ganga, illegal mining, deforestation in river basin and flow of sewage into Ganga. A meeting was held in the presence of Atmabodhanand and Swami Shivanand, head of Matri Sadan, in which environmentalist Ravi Chopra, member of Parliament from Nepal Met Mani Chaudhary, and Asia representative of United Nations Permanent Forum on Indigenous Issues Phoolman Chaudhary were present. 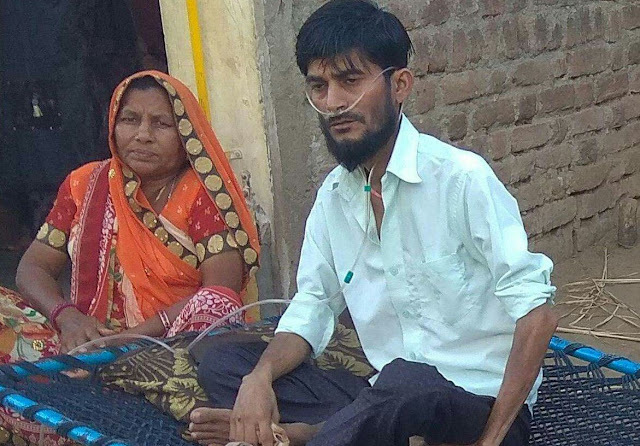 Senior health rights activist Jagdish Patel, who heads People's Training and Research Centre (PTRC), Vadodara, has asked the the Government of Gujarat to urgently arrange for oxygen concentrator for patients like Sikandar alias Ratan, suffering from silicosis since 2013. At the age of 33 Sikandar began working as agate polisher on a vertical wheel machine known as patiya, used to make round beads. Patel in a statement said, since 2013 Sikandar got sick and had to leave the job. He did not know anything on his right to claim compensation for silicosis and has not filed any compensation claim under the Employees Compensation Act. He is now completely bedridden. He needs to be on oxygen all 24 hours, even in the toilet. The Employees' State Insurance Scheme (ESIS) has decided to enrol private practioners to "overcome" the scarcity of doctors following its decision to expand its wings in Vadodara district. According to ESIS, in all, 80,000 workers of the district would benefit from the scheme, which would require 1.75% contribution from workers' salary and 4.75% from the industrial units where they work. All the workers who salary is Rs 21,000 or less would be enrolled in ESIS. Prominent health rights activist Jagdish Patel of the Peoples Training & Research Centre, Vadodara, even as welcoming the ESIS decision, said, Vadodara and its adjoining areas lack quality and affordable health services, resulting in people being asked to rush the Siyaji Hospital in Vadodara in case of any serious disease. It has also been found that, often, workers are at the mercy of private practioners, who charge huge sums for any treatment. 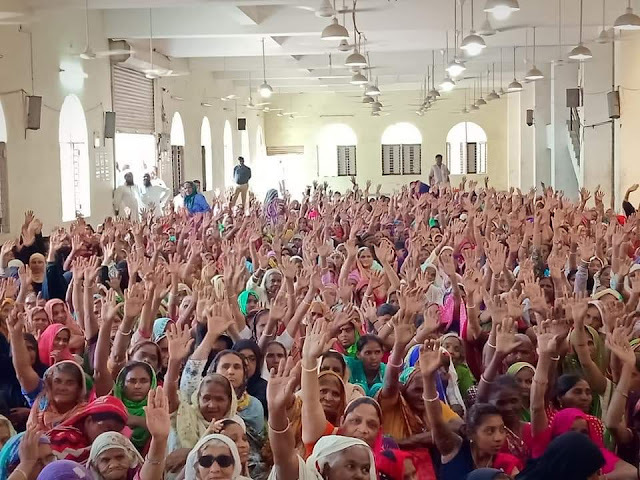 A new organization, Ekal Mahila Adhikar Sangathan, proposing to fight for single women’s rights in Gujarat, has come into existence following a meeting of an estimated 1,500 single women, many of them from the minority community. The meeting was held in the North Gujarat town of Himmatnagar. Those who actively participated in the meeting included Huraben M Dani, who was elected as convener of the organization, Jamila Khan from Ahmedabad, women from several villages of Sabarkantha district Hansaben, Vllasaben, Halima Ben, Hasinaben, Seema Ben, Gangaben, Hasuba, Hina Ben and Lila Ben. Several male activists joined in to help form the organization, including Mujahid Nafees, who leads the Minority Coordination Committee, Gujarat, as also Junaid Ansari, Shailesh Thakkar, Danish Khan and Shakeel Sheikh. Nafees agreed to take a leading role in the organization. Gadkari recently said, the interlinking of Godavari and Cauvery would be done by taking the backwater of Godavari from Polavaram, taking that water to Krishna, Krishna’s water to Pennar and Pennar to Cauvery -- the tail end of Tamil Nadu. 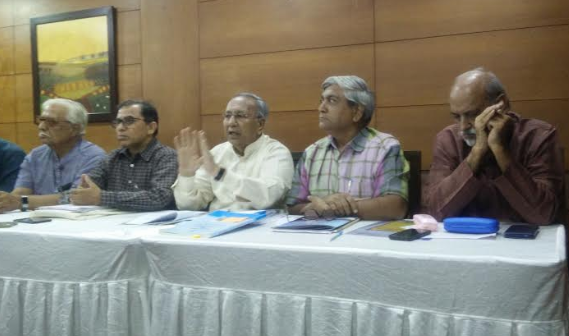 Talking about the "adverse" impact of the November 2016 demonetisation, a senior academic has revealed, at a meeting organized by the Financial Accountability Network India and Delhi Forum, two civil rigs organizations, ever since, India's micro and small enterprises have suffered 35% job losses and 50 per cent dip in revenues. Dinesh Abrol, professor, Institute of Studies in Industrial Development, further said, likewise, the credit disbursed by the banks shows that out of a total outstanding credit of Rs 26.04 billion as in November 2017, 82.6% of the amount was lent to large enterprises, and MSMEs got only 17.4% of total credit”, which further worsened the unemployment situation. The Delhi to Haridwar padyatra in support of saints fasting for Ganga has completed halfway, even as Brahmachari Atmabodhanand completed his 140th day of fast in demand of a clean and "undam-aged" (undammed) Ganga. As many as 17 marchers started their foot march to Haridwar from Jantar Mantar on March 9. If in Ghaziabad the yatris were received by the kind hospitality of Jansatta apartment residents, in Modinagar they were hosted by Sant Ashram, and in Meerut by Sheikh-ul-Hind Madarssa. The yatris included people from states ranging from Punjab to Bengal, Kashmir to Maharastra. The padyatra hopes to create awareness among people about the issue of Ganga and saints fasting and dying for this cause. A statement issued on behalf of yatris said, "We also hope that government will wake up to the sacrifices being made by saints." Did the Prime Minister's Office (PMO) try to stop a pre-arranged civil society meet at Gujarat University, founded by Mahatma Gandhi, held on the occasion of the 89th anniversary of Dandi march to highlight the importance of nonviolence at a time when the country is allegedly facing violent religious and caste divisions? Organised by Delhi-based civil rights body India Inclusive, and called India Unites Convention on Nonviolence and Harmony, well-known human rights activist Shabnam Hashmi told the meet even as it was about to begin, "PMO rang up to say this meeting should not happen. It is not known what is there to be afraid of from such a small gathering." Hashmi named one of the organisers of the meet as the source of information about PMO. 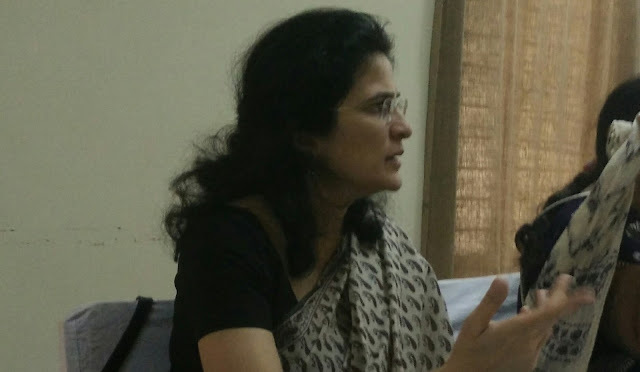 Top Right to Information (RTI) activist Anjali Bharadwaj has accused the Gujarat government of failing to be transparent in the appointment of information commissioners, saying, despite clearcut Supreme Court order to fill up vacancies within a month transparently, things remain extremely secretive and nobody knows what it is doing. "Currently, there are just two commissioners in the state information commission as against the total eight posts. Even the Gujarat government has sanctioned five posts, yet it does not seem to be doing anything to appoint them", Bharadwaj, who is co-convener of the National Campaign for People's Right to Information (NCPRI), and was in Ahmedabad in connection with a civil rights organizations' meeting, said. The All-India Forum for Right to Education (AIFRTE), "strongly" condemning the arrest of Lingraj Azad, leader of the Niyamgiri Suraksha Parishad, who, with the Dongria Kond forest community successfully fought the Vedanta corporation's attempts to grab adivasi land, has said, but for their struggle, "generations of adivasis would have been dispossessed". 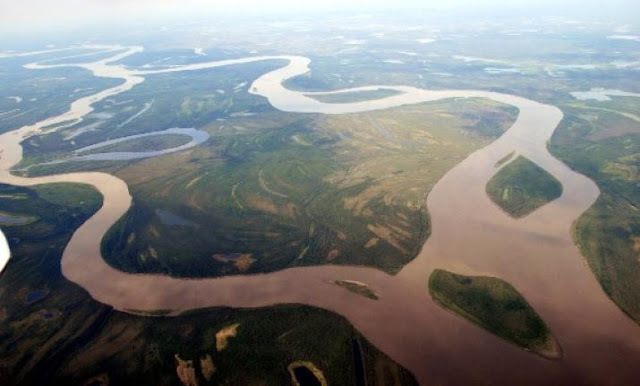 AIFRTE said, "The ecological balance of the region, protected by the Dongria Kond's sustainable life conditions, would also have been irreparably damaged and lost." And with his arrest, "once again it appears under threat." Asserted AIFRTE, "The Odisha government has revived it's efforts to promote the discredited cause of exploitative corporations and to deny the adivasis inhabiting these mineral rich lands over many centuries their legitimate human rights." The three-year old tug-of-war between AK Vijay Kumar, a non-IAS babu known for his rough-and-tough ways, and Atanu Chakraborty, a Gujarat cadre industry-friendly IAS bureaucrat, has come to an end following intervention by Gujarat chief secretary JN Singh and two other bureaucrats. Kumar, who previously served the now defunct PSU Gujarat State Petroleum Corporation (GSPC) is currently special officer, industries, Government of Kerala, and official on special duty, investment promotion, Government of Andhra Pradesh on a "pro-bono basis" in Delhi. Chakroborty, ex-MD, GSPC, a former boss of Kumar, is secretary, Department of Investment and Public Asset Management (DIPAM), Government of India. Days are not far off when Gujarat’s business capital Ahmedabad would be added to the list of places, led by Jharkhand’s rural areas, where failure of aadhaar-based biometric authentication led to 25 of 45 starvation deaths across India since 2017. Ahmedabad-based NGO Human Development and Research Centre (HDRC) survey has revealed that Kesarben Ramabhai Thakore, 85, a poor women living in Sheherkotda slum area of Ahmedabad, is unable to get her ration from the public distribution system (PDS) because her fingers fail in biometric authentication. An HDRC note claims, Kesarben, a single woman, “often goes to bed hungry if she is unable any food, for which she must go out begging daily”, adding, there were in all 1,795 families (24%) out of 7,512 surveyed who do not get ration because of “technical glitches”, which include fingerprint validation. The Government of India may have “upgraded” Ahmedabad to “open defecation free (ODF) plus” status, following a third party audit “certifying” that the city has “hygienic and usable public toilets”. But a recent survey by the civil rights organization, Human Development and Research Centre (HDRC), has revealed that 13.71 of the slum-dwelling families – 1,030 out of 7,512 – are forced to go out in the open to defecate, allegedly because there are no public toilets for them. An analysis of the officially declared income of 37 regional parties in the financial year (FY) 2017-18 shows that it was Rs 237.27 crore. Of this, Samajwadi Party (SP) reported having the highest income of Rs 47.19 crore, which forms 19.89% of the total income of all 37 regional parties, closely followed by DMK Rs 35.75 crore or 15.07% and Telangana Rashtra Samithi (TRS) whose income was Rs 27.27 crore or 11.49%. Overall, in FY 2017-18, the total income of top regional parties (SP, DMK, TRS) alone amounted to Rs 110.21 crore, which comprised 46.45% of the total income of 37 regional parties, collectively. 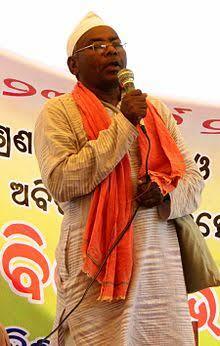 The National Alliance of Peoples’s Movements(NAPM), calling the arrest on Wednesday of Lingraj Azad, leader of Niyamgiri Suraksha Parishad, by Odisha police illegal and deceitful, ha said, he "successfully fought the valiant struggle against Vedanta corporation along with Dongria Kondh." "Initially it was reported that he has been arrested in an old case but just now we have learnt that sedition charges has also been slapped against him", NAPM said in a statement, adding, . Azad is "a fierce fighter for the rights of the adivasis." He is national vice president of the Samajwadi Jan Parishad and national convener of NAPM. Grassroots land rights activist Nandu Gond of Lilasi Village, Sonbhadra district, Uttar Pradesh, is said to be untraceable for about a week, with the local administration refusing to say anything about his whereabouts. and his family and relatives are concerned. Arrested late last month, Nandu Gond, alleges Sabrang India, a site run by top human rights activist Teesta Setalvad, he is sought to be implicated in a second false case even after the High Court protected him against arrest in another "malicious" case. According to the site, Nandu Gond’s only crime seems to be is that he is an assertive land and forest rights activist and is president of the Forest Rights Committee (FRC), Lilasi area, thana Nevarpur. 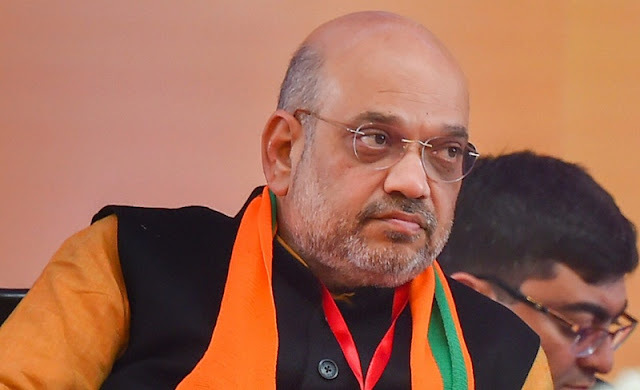 For the past four months, he was forced to be on the run, even after the Allahabad High Court directed on a stay against his arrest (February 8, 2019). 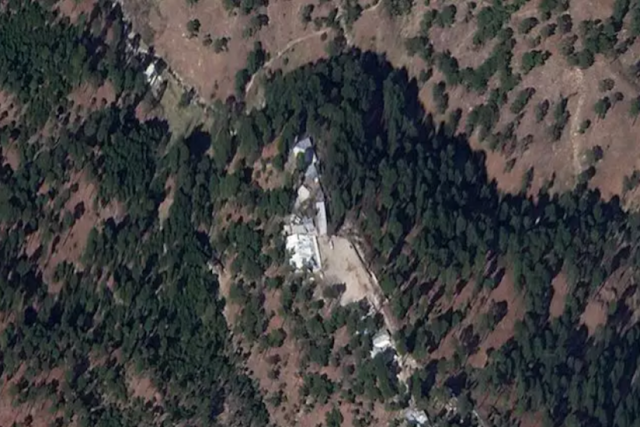 High-resolution satellite images, which are claimed to have been reviewed by a top US expert, are said to suggest that "a religious school run by Jaish-e-Mohammad (JeM) in northeastern Pakistan appears to be still standing days after India claimed its warplanes had hit the Islamist group's training camp on the site and killed a large number of militants." Referring to these images, top news agency Reuters says, "The images produced by Planet Labs Inc, a San Francisco-based private satellite operator, show at least six buildings on the madrasa site on March 4, six days after the airstrike", adding, "Until now, no high-resolution satellite images were publicly available. But the images from Planet Labs, which show details as small as 72 cm (28 inches), offer a clearer look at the structures the Indian government said it attacked." The Centre for Monitoring Indian Economy (CMIE) has said that India's unemployment rate in February 2019 was 7.2 per cent, higher than 7.1 per cent in January 2019 and much higher than the 5.9 per cent in February 2018 or 5 per cent in February 2017. Releasing latest figures, the top consulting agency has said, simultaneously, the labour participation rate fell from 43.2 per cent in January 2019 to 42.7 per cent in February. "A year ago, in February 2018, the labour force participation rate was 43.8 per cent. Since then, this ratio has slipped to a low of 42.5 per cent. 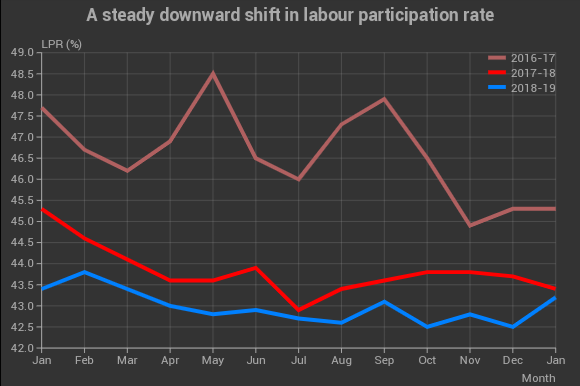 It seems to be stabilising within the range of 43.2 and 42.5 per cent", CMIE says, adding, however, "The most worrying part of the monthly labour participation rate series is that it has been systematically lower than the corresponding levels a year ago." The struggle of the workers of Century Mills in village Satrati, district Khargone, located on the Mumbai-Indore Highway, has completed 500 days. The relay hunger strike in front of the Mills gate and the labour office has completed 230 days. The workers are demanding Business Transfer Agreement (BTA) with the Mills management, under which the workers would run the Mills, as the owners want to close it down. BTA is sought to be implemented following an Industrial Tribunal ruling, which directs the present management not to close down the Mills and hand it over to the workers, numbering close to 1,000. The management, says the National Alliance of People's Movements (NAPM), which is fighting for the workers' rights, is refusing to implement the Industrial Tribunal order. 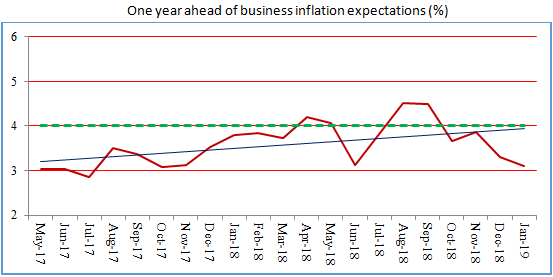 The Business Inflation Expectations Survey (BIES) of the Indian Institute of Management-Ahmedabad (IIM-A), basedon the responses of over 1,600 companies, mostly in the manufacturing sector, has said that the business inflation expectation has declined further to 3.10% in January 2019 from 3.29% observed in December 2018. Regarding cost perceptions, around 52% of the firms in January 2019 reported that increase in costs has been more than 3%, down down from around 61% in December 2018, during the last one year, and the proportion of firms perceiving significant cost increase in January 2019 has declined to 24% as compared to 27% in December 2018. Nearly 58% of the firms in the sample reported that sales are ‘somewhat or much less than normal’ in January 2019. However, the proportion of firms that reported ‘much less than normal’ sales has remained similar during December 2018-January 2019 period. Seventy Indian and Pakistani students at the University of Oxford have said, they are "deeply disturbed by the escalation of tensions over an impending war between India and Pakistan", adding, "As students in a land that is foreign to our homes – India and Pakistan – we’ve always marvelled at how we seamlessly gravitate towards each other, and how we are able to come together in community in ways we can’t back home." 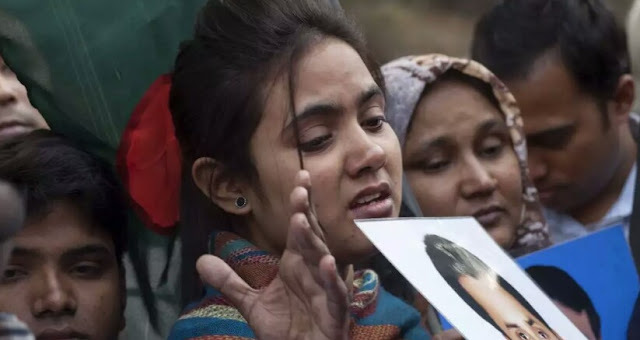 Strongly condemning the suicide bombing in Pulwama, Kashmir, on February 14, 2019 which claimed the lives of around 44 Indian soldiers, in a statement, they say, following the terrorist attack, warmongering that has brgun is also "deplorable." They add, "At a time when India and Pakistan are lurching from crisis to crisis, we condemn the irresponsible rhetoric flooding the media in both countries in the strongest possible terms. The National Platform for the Rights of the Disabled (NPRD), condemning what it called "the disrespectful and insensitive" remarks made by Prime Minister Narendra Modi during an interaction with students at the Smart India Hackathon 2019 organised by the India Institute of Technology (IIT) Roorkee, has said, these were "all the more unpardonable as it comes from a person holding such a high office." "Instead of answering a question posed by a student, the Prime Minister sought to take potshots at his political rivals. In an uncalled for and totally insensitive response the Prime Minister tried to portray all dyslexic people in poor light", said NPRD, adding, "And this disgusting attitude comes from a person who had equated disability with divinity and coined the term 'divyang'." India may have withdrawn the Most Favoured Nation (MFN) status from Pakistan following the Pulwama terror attack on February 14, but, ironically, just a month and a half earlier, the Government of India had asserted that this is not possible or desirable. Bringing this to light, a tweet by one Jagdish Shetty commented, "It took a terrorist in Pulwama to wake them up!" In reply to a letter to BJP Rajya Sabha MP Subramanian Swamy to take away the MFN status from Pakistan, CR Chaudhary, Minister of State for Commerce & Industry, Consumer Affairs, Food & Public Distribution, said that as a member of the World Trade Organization (WTO), and in accordance with provisions of General Agreement on Tariffs and Trade (GAIT), 1994, India accorded MFN status to all WTO countries, including Pakistan. PS Krishnan, former secretary, ministry of welfare, Government of India, has in a letter asked Prime Minister Narendra Modi to eliminate "gaps in governance and administration, revealed by a number of recent judgments which have adversely affected the legitimate interests of Scheduled Castes (SCs), Scheduled Tribes (STs) and Socially and Educationally Backward Classes (SEdBCs)." According to Krishnan, "there have been a number of judgments" that suggest, these "have not been and are not being handled effectively", adding, "As a result of these gaps, governments have had to deal with important issues and problems pertaining to SCs, STs and SEdBCs in episodical and disjointed manner, without consistency." The Delhi Solidarity Group and the Kriti Film Club held premiere of the film "Ho Gyi Hai Pir Parvat Si" (The Mountains Agonized), directed by Subrat Kumar Sahu, who is known for making films that reflect our social structures and has often been sceptical about the "way of development" through his craft. Held at Gulmohar Hall, India Habitat Centre, New Delhi, the film by the independent filmmaker is about the impacts of hydropower development in the Satluj Valley. Latest estimates suggest that in the third quarter of 2018-19 (October-December), agriculture and allied activities grew at 2.7 per cent as against 4.6 per cent during the same period last year. The situation wouldn’t be any better for the full year in 2018-19, when the growth in agriculture and allied activities was estimated the same, 2.7 per cent, down from 5 per cent in fiscal 2017-18. 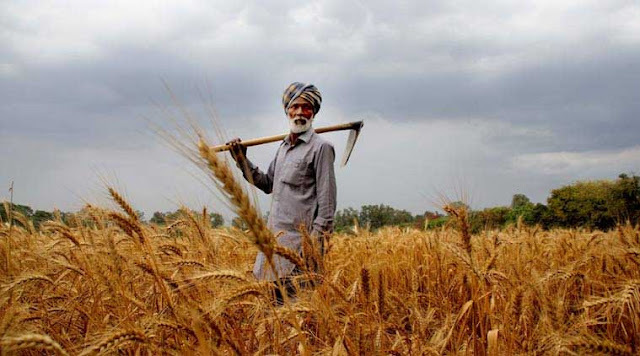 “Low monsoon and post-monsoon rains have pulled down post-kharif and rabi production, which is being reflected in the GDP numbers,” Madan Sabnavis, chief economist, CARE Ratings, has been quoted as saying. Data show, India’s wheat production in the 2018-19 rabi season is expected to be 99.12 million tonnes, marginally less than 99.7 million tonnes last year, though rice production is estimated to touch a record 115.6 million tonnes in 2018-19, from 112.91 million tonnes in the previous year. Taking serious view of “illegal construction activities, dumping of waste, dredging, digging, illegal discharge of effluents and absence of demarcation of blue line and red line in the river bed by the Irrigation Department” in the area of Tapi river in Surat, Gujarat, the National Green Tribunal (NTG), New Delhi, has directed the state government to form an official-level committee to halt the “damage” it is causing to the environment. 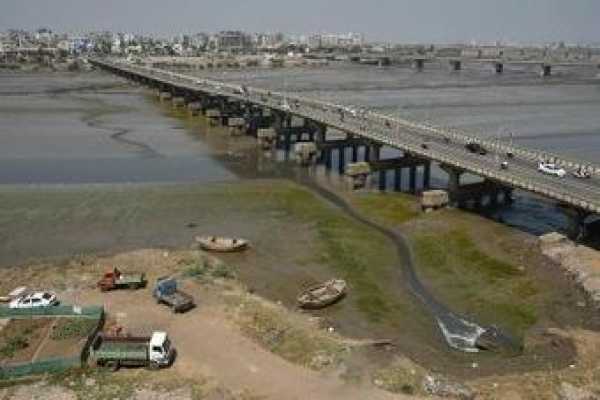 The five-person committee, NTG said, should comprise of “representatives” of the Secretary, Irrigation Department of Gujarat; Gujarat State Pollution Control Board (GPCB); Secretary, Urban Development and Housing Department of Gujarat; district collector, Surat; and the Surat municipal commissioner “to review and coordinate” necessary measures. Top Ahmedabad-based environmental group Paryavaran Mitra has filed an application with the Gujarat Pollution Control Board (GPCB) under the Right to Information (RTI) Act, regarding the construction of a pipeline that would reportedly carry treated effluent from different cities of Gujarat and discharge it in Arabian Sea, wondering, “How many industrial estates and Central Effluent Treatment Plants (CETPs) are part of this project?" Seeking details on each of them, the plea has also asked GPCB to provide feasibility study report, if any, about the project, and who was given the work order to prepare the report regarding the discharge of treated effluent through underground pipeline in Arabian Sea”, even as wondering as to whether the constructing an underground pipeline to carry treated effluent requires Environmental Clearance, and if any Environmental Impact Assessment report has been prepared for it. Rethink Aadhaar, an NGO campaigning against compulsory use of the Aadhaar for all public services, has decided to launch a nationwide agitation during March 17-24, saying, the campaign would be aimed at pushing politicians to take a stand on this in their election manifestos. In a communiqué, the NGO has said, this is part of the efforts "to push parties to take a stated stance to at least ensure that Aadhaar is purely a voluntary ID similar to other OVDs."